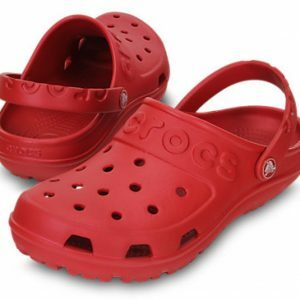 NIWOT — Crocs Inc. (Nasdaq: CROX) posted third-quarter earnings per share of 7 cents, beating analyst expectations by 8 cents per share. The company’s net income attributable to shareholders grew significantly, from a net loss of $2.3 million in the third quarter of 2017 to a net income of $6.5 million in Q3 2018. Crocs updated their quarterly earnings guidance. $11.1 million at an average price of $18.39 per share. The company’s revenue grew 7.3 percent year-over-year to $261 million, beating analyst expectations by $14.66 million. Looking ahead to the fourth quarter, Crocs said it expects revenues between $195 million and $205 million, compared to $199.1 million in the fourth quarter of 2017. That includes a negative currency impact estimated at $5 million. For the full year, the company expects revenue to be up 4 or 5 percent higher than 2017 revenues of $1.02 billion. That estimate is up from prior guidance of low single digit increase, based on the strength of the company’s results. For 2019, Crocs said it expects a mid-single digit increase of 2018 revenues.